Correspondence, transcripts of interview and conversations, laboratory notebooks, photos, testimonial volume, reprints and printed matter. Much of the material pertains to research and priority in the discovery of insulin. Location: Materials stored offsite. Retrievals made last Friday of the month. Contact hmdref@nlm.nih.gov for scheduling. Collection is not restricted. Contact the Reference Staff for information regarding access. Donor's copyrights were transferred to the public domain. Archival collections often contain mixed copyrights; while NLM is the owner of the physical items, permission to examine collection materials is not an authorization to publish. These materials are made available for use in research, teaching, and private study. It is the user's responsibility to research and understand any applicable copyright and re-publication rights not allowed by fair use. 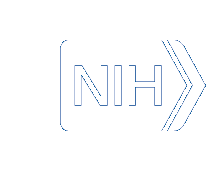 NLM does not grant permissions to publish. Archives and manuscript collections may contain materials with sensitive or confidential information that is protected under federal or state right to privacy laws and regulations. Researchers are advised that the disclosure of certain information pertaining to identifiable living individuals represented in any collection without the consent of those individuals may have legal ramifications for which the National Library of Medicine assumes no responsibility. [Call Number, Collection Name, Series Number], Modern Manuscripts Collection, History of Medicine Division, National Library of Medicine, USA. Gift from Mrs. Ernest L. Scott, 1966-67. Correspondence by Mrs. A.H. Scott, in Collection File, contains some additional data on Dr. Scott. scott165Finding Aid to the Ernest Lyman Scott Papers, 1897-1966Archives and Modern Manuscripts Program, History of Medicine Division Version 1.0 History of Medicine Division, National Library of Medicine. Machine-readable finding aid encoded by Dan JenkinsFinding aid is written in EnglishJuly 2004PUBLIC "-//National Library of Medicine::History of Medicine Division//TEXT (US::DNLM::MS C 165::Ernest Lyman Scott Papers)//EN" "scott" converted from EAD 1.0 to 2002 by v1to02.xsl (sy2003-10-15). Ernest Scott was born in Kinsman, OH, and received his B.S. from Ohio Wesleyan University in 1902. In 1911 he earned an M.S. from the University of Chicago, and then a Ph.D. from Columbia University in 1914, where his dissertation included the development of the Standard Blood Test for Diabetes. Scott is best known for his early research on isolating insulin from the pancreas for treating diabetes. Scott left the University of Chicago to teach at the University of Kansas, but soon left for a teaching post at Columbia in 1912, where he remained until his retirement in 1942. During World War I, Scott served as a major in the Sanitary Corps of the American Expeditionary Force, stationed in France. After retiring from Columbia, Scott began a second career as a horticulturist, establishing the National Chrysanthemum Society in 1944. It was during his graduate research at the University of Chicago where he was the first to successfully separate a substance from the pancreas that aided carbohydrate metabolism. Scott came to the lab of Anton Carlson, hoping to focus his research on diabetes after a close friend died of the disease. Left to his own devices in the lab, he was doing experiments on dogs that had had their pancreas removed or tied off. When the Diener (a German word for laboratory assistant-animal-attendant employee of the university) quit because of the constant presence flies, sticky urine puddles, and the general uncleanly state of the dogs used for Scott's experiments, Scott came to realize that the flies were attracted to high concentrations of sugar in the urine. Scott's experiments showed that dogs whose pancreas was removed had high levels of sugar in their blood. He then isolated internal secretions from the removed pancreatins and injected the dogs, causing blood sugar levels to drop in half. Controversy over his discovery started when Scott left for Kansas, leaving behind his thesis for Carlson to publish for him. The thesis appeared in the 1912 American Journal of Physiology with edits made to the original thesis that discounted Scott's discoveries. It was not until 1922 that Frederick Banting, using Scott's theretofore little-known article, reproduced Scott's experiments more fully and identified insulin as the active internal pancreatic secretion. Banting credited Scott's previous work in his landmark article and later won the 1923 Nobel Prize for solving the problem of diabetes. Controversy remained, however, over Carlson's alleged tampering of Scott's original thesis, as well as his lack of support for Scott's pioneering work that ultimately won a Nobel Prize. Correspondence, transcripts of interview and conversations, laboratory notebooks, photos, testimonial volume, reprints and printed matter. Much of the material pertains to research and priority in the discovery of insulin. Interview was conducted for the Oral History Research Office of Columbia University. Conversations between Dr. Scott and his wife relating to Dr. Scott's work was recorded by Mrs. Scott. Correspondence consists of family and general correspondence. Correspondents in the latter group include Louise Baker, Charles E. Braun, A. J. Carlson, Alexander S. Chaikelis, Hans T. Clarke, H. H. Dale, William Darrach, Louis B. Dotti, Walter F. Duggan, Frederick B. Flinn, G. L. Foster, Magnus I. Gregersen, M. Mason Guest, A. Baird Hastings, Aleita Hopping, Clarence A. Horn, Barry Giffith King, Fred C. Koch, A. Krogh, Horace A. Lanack, Frederic S. Lee, Charles C. Lieb, Arno B. Luckhardt, James McBride, Hugh McClean, Earl B. McKinley, J. J. R. MacLeod, Edgar Grim Miller, Michael G. Mulinos, John S. Murlin, Bernard S. Oppenheimer, Enid T. Oppenheimer, Horace A. Parrack, Harold Fisher Pierce, Edward L. Rice, Dickinson W. Richards, Oscar Riddle, Walter S. Root, Philip E. Smith, E. H. Starling, Harold C. Wiggers, Horatio B. Williams, Ruth R. Ziff, and Theodore F. Zucker. These terms are indexed in the National Library of Medicine's online catalog LocatorPlus. Researchers wishing to find related materials should search the catalog using these terms.